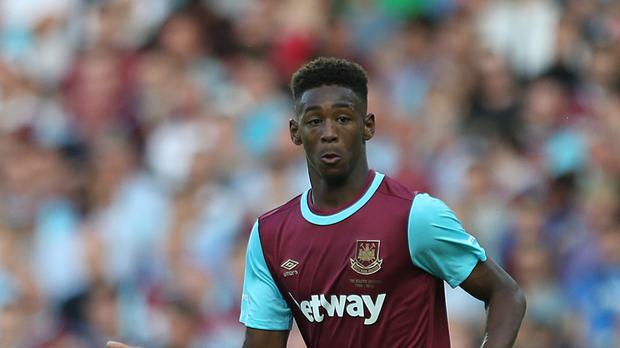 David Moyes plans to give teenage defender Reece Oxford the chance to prove himself at West Ham. Oxford was back at the Hammers' Rush Green training ground on Friday after being recalled from his season-long loan at Borussia Monchengladbach. Reports in Germany claimed the 19-year-old was on the verge of a move to Gladbach's Bundesliga rivals RB Leipzig. But Moyes insists Oxford, who starred on his West Ham debut against Arsenal aged just 16, is back at the east London club with a view to playing for them. "Reece is coming back," said Hammers boss Moyes. "I don't know Reece, I've never worked with Reece, so I'll take the time to have a look at him and see how he does. "I know he has been talked of very highly but went out on loan so we'll have a look at him, get him back and see how he does. "I hope we can help him, because he's a young player and we hope the work we will give him would help him. "But again, I've not worked with him before and I don't know the boy. I've only just met him so from that point of view, it'll take me a while to get to know what he does. "I know he is well thought of here and for that reason we will work with him and see what he is up to." With the January transfer window about to open, West Ham have, predictably, been linked with a host of names as Moyes bids to guide them away from relegation trouble. Moyes has prioritised a new midfielder with Joe Allen, Steven N'Zonzi and Andre Schurrle among the latest players linked. But Moyes, who only took over in November, said: " I am just finding out a little bit about West Ham - we must have been linked with about 15 players in this window by all accounts. "Look, we have made it known if we can bring in one or two reinforcements to the team then we will do so. "I think every manager will say the same, it's not a particularly good or easy time to do business and it's always an expensive month in the year. "We will try to do it but there is no guarantee."